Shahin Hemat has been working at CSUSA since September 2017. He is a Recruitment Consultant and works primarily with our Norwegian men’s soccer players, basketball players and swimmers out of our Oslo office. Shahin Hemat began his college career at Francis Marion University Patriots in August 2013. FMU played in the Peach Belt Conference in NCAA D2. Starting for the first time ever in 2013, the PBC began to award “Goal of the Month” and ultimately “Goal of the Year”. Shahin was awarded the “Goal of the Month” award for the first two consecutive months of the 2013 soccer season, where one of those later were awarded the “Goal of the Year” award. He was also recognized for his academic performances by appearing on the “Dean’s List” his first three semesters, and the “President’s list” his last semester at FMU. After two years at FMU, he transferred to California State University Los Angeles, who after his first season got ranked in the “Top 20” in the NCAA D2. Upon his arrival to CSULA, he was accepted and admitted to the Business Honors College. His first season at CSULA, his team made it to the first round of the NCAA D2 tournament, before they were knocked out. 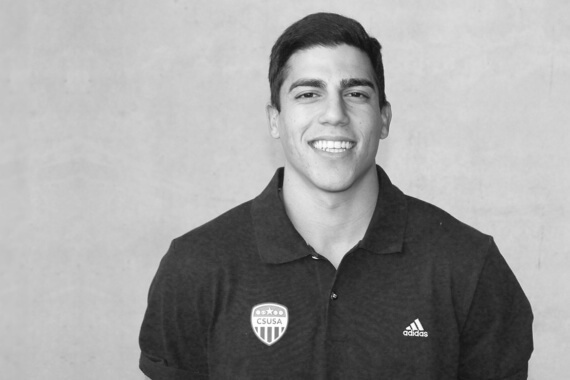 During his time in Los Angeles, he received several academic awards and scholarships, including: the William H. Dermody Scholarship, CCAA All-Academic Team, NSCAA Scholar All-West Region Team and Academic Achievement Award. In addition to playing college soccer, Shahin in the summer of 2016 for AC Connecticut in the Professional Development League (PDL). Shahin graduated with a bachelor’s degree in Business Administration with honors, majoring in management and minoring in Economics, with a grade point average of 3,56. After his graduation he moved back to Norway, and he is now employed as a Sports Consultant for us in CSUSA. Before moving to the United States, Shahin played for Ullensaker/Kisa Football Club U16 Premier League where he became the top goal scorer, and he also played for the U19 Premier League team. After that he started playing for Eidsvoll Turn Football Club U19 where he became the top goal scorer and top assist maker, before he got his first 90 minutes for the senior team in 2nd Division against Lorenskog close to examination from Eidsvoll Videregaaende Skole (High School). During high school, Shahin contacted and signed for CSUSA, who assisted him in gaining a close to full ride at Francis Marion University. Scoring the game-winning goal from 27 yards against Cal Poly Pomona in the CCAA-Tournament quarter final to give us our first win in two years against them, in addition to sending them out of the tournament.